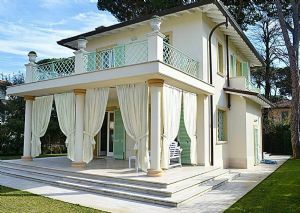 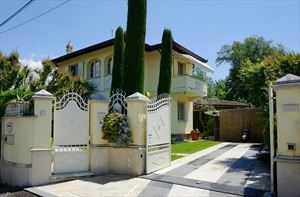 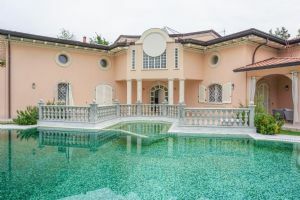 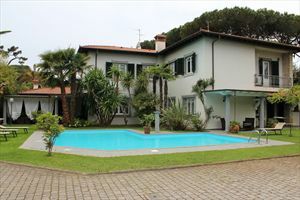 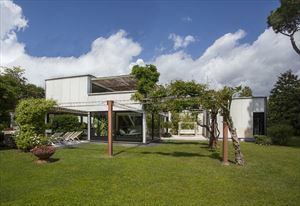 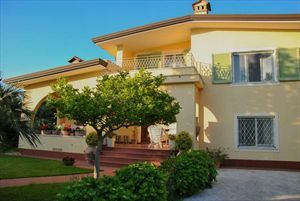 Detached Villa free on all four sides, in Forte dei Marmi. 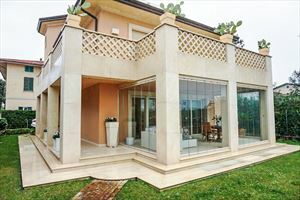 At the entrance awaits us an entrance with living room with fireplace and dining table, kitchen with accessio on the terrace, and an adjoining room with a further bedroom with a small bathroom, guest bathroom and garage with a parking space. 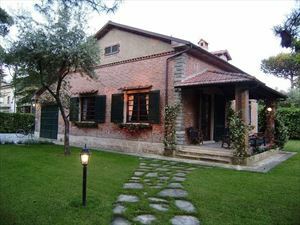 On the first floor there are three double bedrooms and two bathrooms with shower.